It’s the early 1930’s and, “Julian Marsh is puttin’ on a show!”. Pretty Lady is the latest production from the famous director, and all of the local, out-of-work actors are thrilled to have jobs again. But show business is never easy, and this one in particular is no stranger to the trials and tribulations that come with rehearsing a smash hit. The fact that 42nd Street first came out in 1933 doesn’t date this wonderful revival of the show. It provides some good old fashioned singing, dancing and tapping. Lots and LOTS of tapping. The casting is spot on. Clare Halse wins us over immediately with her innocent portrayal of the fresh-faced Peggy Sawyer, and Tom Lister keeps us on our toes as the ever-broody Julian Marsh. Bonnie Langford also delivers a feisty performance as the antagonist Dorothy Brock. The ensemble are the heartbeat of this show, creating the atmosphere of each scene, keeping the plot moving at a steady pace and never faltering. They’re a well-oiled machine that transports the audience back in time, dropping us right into the audience of a Broadway show. The sets and costumes are a sight to behold too, creating a real sense of its time. Clearly well researched, the set screams of influences of 1930s Times Square. The magic of the place bleeds through the entire piece. 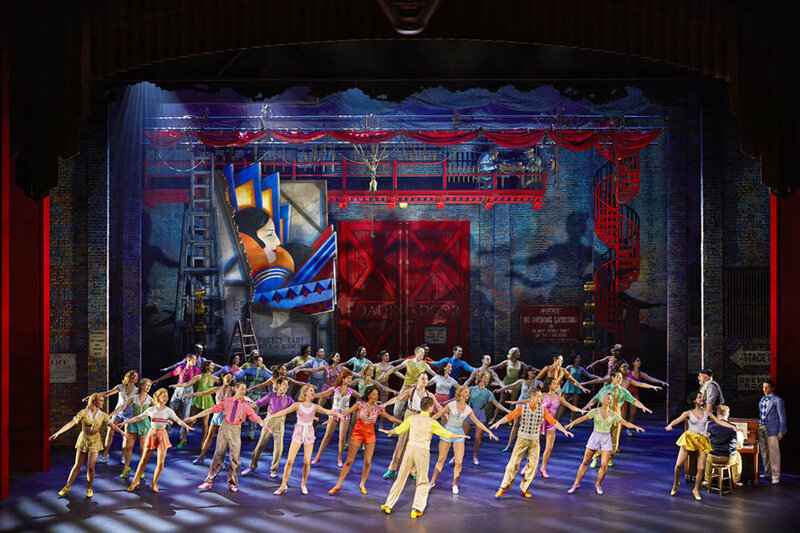 Staying true to the old-school musical, this West End revival is one of the best on stage at the moment, with explosive dancing and a stage so full of people that it is truly an incredible spectacle to witness. 42nd Street is runs through January 2019.